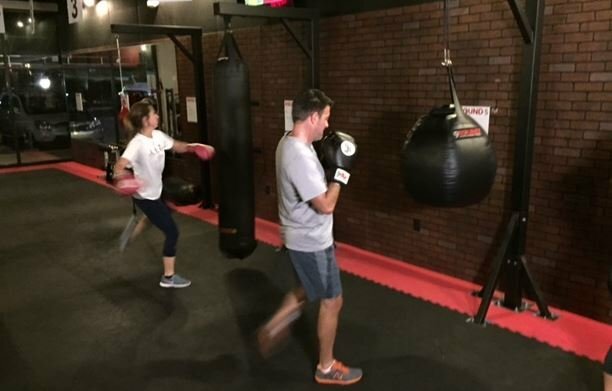 9Round, the Greenville-based kickboxing gym franchise, is hosting its fifth annual Kick Event for Breast Cancer on Thursday. The gym franchise said the gyms around the country will offer fitness enthusiasts a unique opportunity to help raise money for breast cancer awareness and donate one penny for every kick recorded at the gyms throughout the day. Thursday’s goal is 2 million kicks, or $20,000. Since the event’s inception five years ago, participating 9Round locations have recorded over 18.8 million kicks and raised nearly $189,000 to help develop breast cancer treatment and laboratory research. Copyright 2016 FOX Carolina (Meredith Corporation). All rights reserved.